The Canutillo Alumni Foundation for Education's (CAFE) mission is to provide scholarships for talented, college-bound Canutillo High School and Northwest Early College High School graduates who are representative of the high-quality education provided by the Canutillo Independent School District and who display high-caliber academic ability and a mindset of community service and involvement. 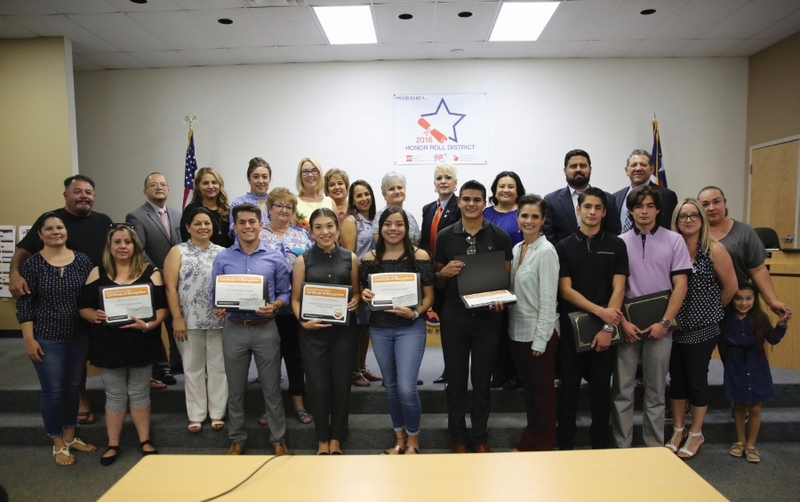 Canutillo alumni have worked together to provide scholarships for graduates since 2004 and are proud to announce a new partnership with the Paso del Norte Foundation to further their mission. The Canutillo Independent School District and the alumni group established an agency-advised fund in 2018 to help meet the needs of CAFÉ. Read more. CAFÉ holds an annual golf tournament to raise funds for the scholarship. Tax-deductible, one-time, annual and monthly gifts can now be made online with the Paso Del Norte Foundation. Supporters will receive a free CAFÉ gift with their annual or monthly contribution. Donate online or download the membership form. With your help, we hope to increase the number of Canutillo students who will be awarded a scholarship next year to help them rise toward their goals of a college education. Seniors! The Canutillo Alumni Foundation (CAFÉ) Scholarship application is out. Hurry and apply by May 6!